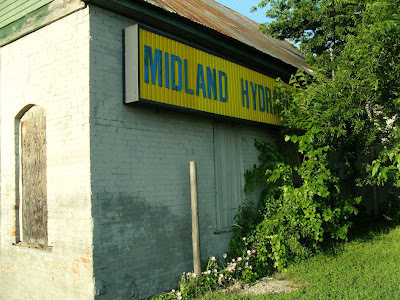 I posted a photo several months ago of the Midland Hydraulics building which is located behind the old Mobil/New Texaco in downtown Terrell. Soon after posting my photo, I noticed someone had cleaned up the grass and trees and then began painting. 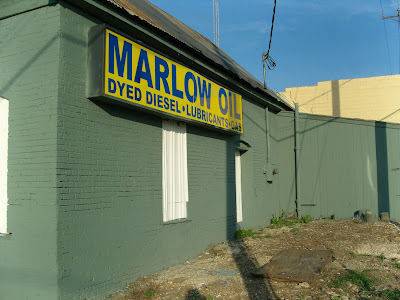 Not long after the sign was updated and changed to Marlow Oil. So - today's photo is a before and after shot! It looks like this has seen better times. It looks like they did a nice job! I love the before and after pics! I work for Marlow Oil and am very happy that someone recognizes our efforts to keep Texas beautiful..